Right now... at this particular moment on our hobby timeline... there's no better time to start collecting. Why... you ask? It's because 99% of the stuff out there is overproduced or unwanted and everyone knows it's about "supply" vs. "demand". Which means you can find a ton of bargains out there. And as long as you're not banking on these cardboard bargains to help pay for your children's college education or your retirement, then what more do you want? You can now officially go out there and collect for "fun". 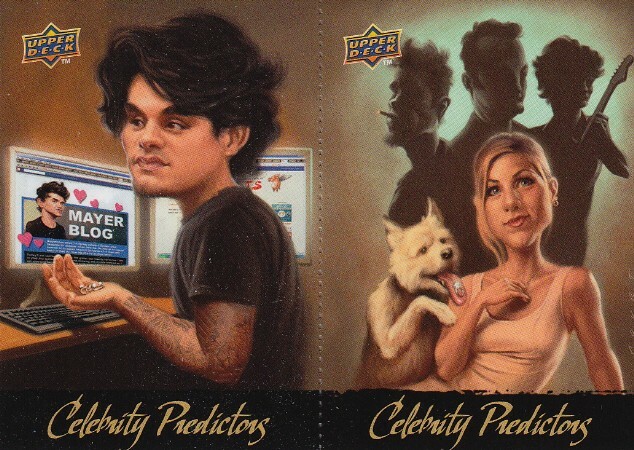 I recently put the finishing touches on my 2010 Upper Deck "Celebrity Predictor" set, which features caricatures of some of Hollywood's finest/former couples. The cards are perforated down the middle, to make things simple for couples who split up. 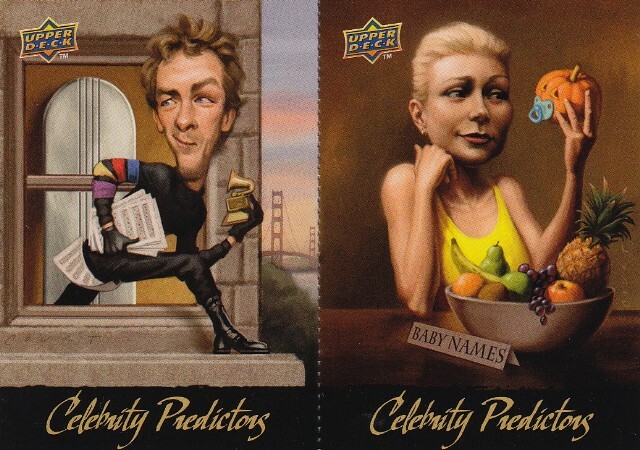 Although the set primarily consists of movie stars and musicians, Upper Deck did produce two cards that contain athletes: Anna Kournikova & Cristiano Ronaldo. 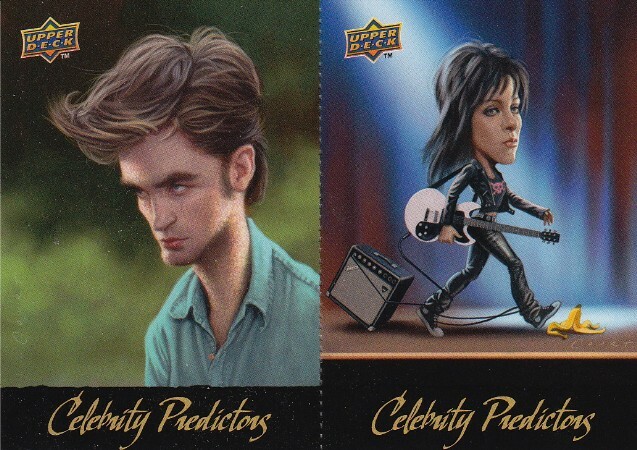 Beckett doesn't list a complete set book value, but based on individual cards... the set lists at $62. Of course... if you go back to my first paragraph, you know that there's no way you could sell the set for anything close to that. I purchased all of my singles off of COMC for $6.44, which is probably more than what the auction above will end at. But at least I can say I had the opportunity of hand building the set... even if I technically purchased all of the singles from one site. 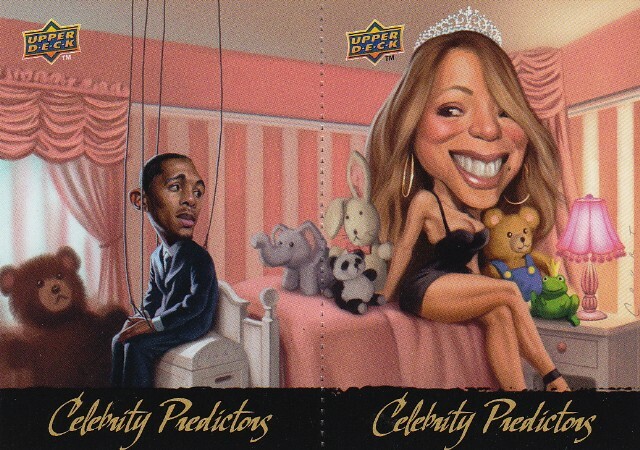 Which couple do you predict will last the longest? Enjoy your weekend everyone... Sayonara!